If you do a search for ‘Banabila‘ on this blog you’ll find that he’s regularly occupying these pages. Looking at his back-catalague, it’s clear that his work covers quite a lot of different musical areas (you can check the two special mixes for example: here and here). In recent years, however, his output became more and more experimental, steering towards heavy electronics and modular soundscapes. Gone is the ethnic world music, the ‘romantic’ themes – although the music never got too analytic; it always stays connected to recognisable human emotions. 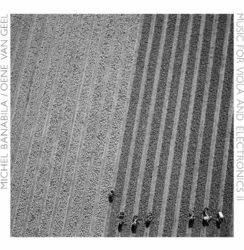 After they met when working together on Cloud Ensemble, Michel Banabila and Oene van Geel extended their collaboration which resulted in 2014’s “Music for Viola and Electronics“. Both were so enthusiastic about the new musical world that they had opened up, that they kept working on “Music for Viola and Electronics II“, which is released this month. Judging by the (strikingly beautiful!) aerial landscape photography of Gerco de Ruijter on the cover, their collaboration will probably not end here: the crop of the (geometric) landscape on the Volume I cover photo is only partially harvested – by hand, line by line… a difficult, strenuous, but most rewarding work. Even for those that follow Banabila’s work throughout the years, “Music for Viola and Electronics” is a bit hard to classify, because it’s different from most of what he did before. At least, it seems that way: according to Michel himself, it’s simply a next step – the logical consequence of everything he has done in the past. The combination of Michel’s modular Doepfer electronics with the warm natural sounds of Oene’s viola opens up completely new perspectives. In some way, it is easier to say what this music is not, than to describe what it is. It certainly is a roller coaster of emotions and dynamics, which probably is demonstrated best at the beginning of Volume I: after opening with the carefully restrained, almost zen-like “Sinus en Snaar”, complete turmoil kicks in with the aptly named “Dondergod” (“Thunder God”). It’s probably best to put on safety belts before you play this on high volume! 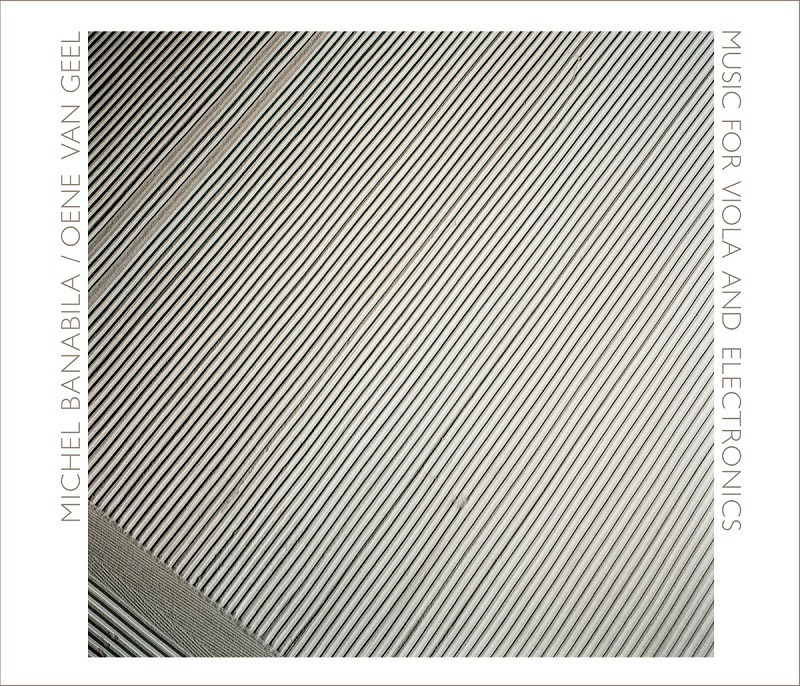 “Music for Viola and Electronics II” builds further on the same concepts as the first volume. Some extra musical guests are introduced on several tracks: Keimpe de Jong (contrabass clarinet), Joost Kroon (drums and metals), Emile Visser (cello), and Eric Vloeimans (trumpet). There are some distinct references to somewhat less ‘experimental’ musical territories. For instance, “Kino Mikro” and “Vleugels” both have a rather cinematic arrangement (the latter taking a surprising turn midway with frantic drumming backed by a string section that sounds like a metal band – a surprising switch in the mood, effectively breaking the constraints of minimalism). Unlike many other albums that choose to focus on one particular atmosphere, these albums are more like a kaleidoscope of fragmented emotions. This may be a bit confusing at first listen, but it proves to be very rewarding if you carry through and keep listening! Throughout the years, Michel Banabila‘s music has always been hard to classify. And just when you thought you knew what to expect, he usually took another artistic turn. Though this may be a sign of true creativity, the downside is also that his music is a bit difficult to market because it targets so many different audiences. It’s quite hard to find the right stage for his work, because it often simply “does not fit the format”. But – as he has always done – Banabila chooses to do what he feels that must be done. Not just simply what might be expected.